I delivered the following talk in the Parley’s 7th Ward in Salt Lake City, UT last Sunday, May 10th, 2015. I’ve delivered portions of this talk other places recently, including my home ward, and have been asked several times to publish it. Parts of this talk will appear in an essay I’ve contributed to the forthcoming A Book of Mormons: Latter-day Saints on a Modern-day Zion, part of the I Speak for Myself series edited by Emily W. Jensen and Tracy McKay-Lamb. When I was fifteen years old, I attended a regional youth conference at a YMCA campground in upstate New York on a frigid February weekend. I was among many young women and young men who tramped through the snow, memorializing the march of the Mormon pioneers, singing pioneer hymns from little paper booklets carefully made to look like distressed leather. At one activity, we were given Oreos, only to discover they were filled not with the expected delicious crème, but with white toothpaste. We laughed so hard we cried as we tried to spit out the deceptively smooth paste, although we learned the intended lesson about Satan being cunningly deceptive himself. (And these were pre-Pinterest days!) We returned to toilet-papered cabins and nervous preparations for an evening dance. The next morning, we bore our testimonies and learned of the Savior’s love for us. “I think I feel angels around us,” I whispered to my best friend beside me. “It feels like heaven,” she replied. Over the past six years, I have been engaged in collecting and telling Mormon women’s stories with the goal of helping us more easily as a people achieve the kind of unity and celestial harmony I’ve glimpsed in moments like those at Youth Conference so many years ago. My guiding philosophy has been that telling others’ stories puts an individual face on motivations, decisions and life paths that may be different from our own, allowing us to feel a measure of empathy and love that statistics or platitudes do not produce. 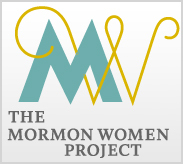 I founded the Mormon Women Project to publish stories of LDS women who demonstrate “many ways to choose the right,” and running that nonprofit led me to write a book last summer called Women at Church: Magnifying LDS Women’s Local Impact. The purpose of that book was, again, to foster a commitment to unity and give us the tools we need to address the concerns some Mormon women have today about how we are or are not integrated into church administration. The book is a practical guide to help both leaders and members understand what factors are leading some of our women and men to feel that there is no place for them in our religious community. Over the hundreds of hours I have spent interviewing and listening to and crying with those who have shared their stories with me, I have come to a conclusion which is my message to you today: We can no longer assume that – just because we’re in the same Relief Society or Elders Quorum class as another or even look like the person sitting next to us – we automatically share viewpoints with that person or make the same life choices they do. In fact, we have come to a point in the diversity and growth of the Church that we must assume instead, even within our own wards and classes, that members’ choices, lifepaths, and viewpoints will represent a wider spectrum of seen and unseen variations than we have ever experienced as a community before. We are not all the same, and we too often act in our church communities as if everyone beside us draws the same conclusions from life experiences, prioritizes the same principles we do, or have had success using the same life guideposts and check boxes we do. The truth is I have never once interviewed someone who feels that she isn’t at some point in some way on the outside or who feels like she’s checked all of the boxes she perceives are required for good Mormondom. The inner circle has a lot of empty chairs these days. And yet, we are all here today because a unifying force – a love more powerful than any other earthly force – binds us. We are here as a group unified under Christ. Our love for Him and His love for us gathers us both physically and spiritually. The challenge of our day is to disconnect the perceived need for sameness from the ideal of unity. Can unity exist without sameness? It should. It must. But how? All these years later, I return to that scene at Youth Camp in the Catskills when I think of an experience in my life when I’ve felt unity without sameness: I was an only child of separated parents from the middle of Manhattan. And yet my best friend there beside me was from a suburban family of nine. Our stake was heavily composed of kids from Harlem and the Bronx, and even though I was attending Juilliard as a classical pianist, I danced heartily to salsa and reggae that whole weekend. I was attending an all-girls school with very little exposure to boys and felt very self-conscious around them, and yet I remember bearing my testimony with a total abandon of emotion. Despite the music and the boys and the bad food and the freezing temperatures, it seemed to me to be a little slice of heaven. Although not remotely the same as those kids around me, I felt fiercely loyal to them and that little heaven we’d created for a weekend. I’ve hung on to that feeling in the intervening years and used it as a north star to gauge other attempts at creating Zion-like gatherings here on earth. Even though I’ve had moments with my family that are blessedly released from the terrestrial world, few communal efforts have ever reached that same plane for me, where unity and loyalty trump all. But I know it is attainable and I know it is real, and that knowledge drives much of the work that I do as a public voice for women in the Church today. Over the past years as I’ve traveled around the country and written and spoken and interviewed our members, I’ve become familiar with a range of church ecclesiastical and administrative leaders. I have seen our church at its very best, striving to make sure we are going after the one, exploring ways we can support each other in our various faith journeys, as President Rosemary Wixom of the Primary and Bishop Gerald Causse of the Presiding Bishopric so eloquently encouraged us to do during conference recently. I have also seen our people at our worst – condemning, judging, feeling threatened by another’s position or opinions. The greatest joy of the past few years is when I have been called a peacemaker. The greatest sorrow is when I am told there are few others out there like me. The quest for Zion today has dramatically shifted from the nineteenth century call to have people gather to Utah from around the globe. At the Church’s beginnings, physical threats made necessary a physical response: a gathering of bodies, of families, of believers, in a specific place. But the reality of twentieth and twenty-first century life has demanded instead a different kind of gathering: a gathering of minds and hearts to defend against unseen challenges, competing ideologies and emotional assailants. It is a virtual gathering, to answer a virtual world. In my work with women, I have seen members of the Church wrestle with what I believe is the essential question of our discipleship today: How do we maintain spiritual unity across the wide spectrum of cultures, political leanings, experiences and convictions that make up the church body today? This foundational question leads to others: What influences are creating this wide spectrum? Which of these influences are good? Which are not? To what extent are we as members to celebrate the variety of earthly experiences and cultures and perspectives we bring to the table? To what extent are we meant to reject them? Several other faith traditions answer these questions by creating differing levels of orthodoxy or methods of worship. In Judaism, for example, there are the orthodox, conservative and reform movements that allow people to find a home for themselves spiritually that works in harmony with the other influences in their lives. Various Christian denominations offer a wide range of styles and even doctrine, offering everything from high liturgy to rock bands and video presentations in their worship services. Even Muslims can choose the imam they worship under. Mormonism, in contrast, is today an unsplintered religion, defined by the single embrace of a single institution, and even, in our wards and stakes, by our geographical locations. A recent trip to a Baptist church reminded me how unusual it is to have central governing bodies at the local, regional, and general level working hand in hand to oversee a global community. We do not have cultural designations or different descriptions of levels of orthodoxy, and I do not believe we can if we take seriously the Savior’s warning: “I say unto you, be one; and if ye are not one ye are not mine.” Mormonism to my mind is not an ethnicity (although some have argued it is) in the sense that our familial line is not our tether to our spiritual inheritance. We are, rather, a “covenant people,” suggesting it is making and keeping covenants that grafts us into the family of God, not a birthright. Even those born “in the covenant” must earn their own place through the making and keeping of individual commitments. We are also not a hermitical religion. We do not siphon ourselves off from the cultural and educational influences of the world. We are people who are influenced by the forces around us. Where we draw the line between being in the world but not of the world varies from individual to individual, depending on family and national culture, personality, priorities, and convictions. I advocate for examining our culture and practices to parse out those factors that lead to the disunity and judgment Elder Uchtdorf condemns. When we focus on how things are done, we lose sight of the beautiful why behind those actions. Sometimes the scriptures or our leaders have designated how things should be done; our ordinances for instance – those rituals in which we use our bodies to confirm promises and commitments we make to God – are by definition prescribed and there is beauty in their formality that brings us together. But Elder Wilford W. Anderson of the Seventy in the last general conference spoke of “the beautiful music of the gospel,” suggesting there is another essential level of spiritual beauty that can only be appreciated when stripped of its trappings. He told the story of a Navajo medicine man who asked a doctor if he could dance. The doctor said, “No, but could you teach me to dance.” To which the medicine man replied, “I can teach you to dance but you have to hear the music.” Elder Anderson reflected, we need to “expand the curriculum for teaching the gospel beyond just the dance steps.” Our happiness depends, he said, on our ability to hear and love the beautiful music of the gospel. Oftentimes, I have found, that means being able to clear away the clutter of tradition and practice that sometimes distorts our understanding of why we do what we do and how those actions mirror Christ’s will. In a Pulitzer Prize-winning article in the Washington Post about the test, journalist Gene Weingarten asked other renown musicians what they thought would happen. Would people have time for beauty? he asked them. Their responses were generally optimistic. And so what really happened surprised everyone: Out of the 1,097 people that passed by Joshua Bell during those 43 minutes, seven people stopped to listen. 27 gave money on the run, adding up to $32. There are many conclusions to be drawn from the experiment, but a most profound one to me today is that context matters. Beauty can be overlooked if it isn’t presented in a context that signals to the receiver that this is something they should pay attention to, that they should let affect them. And what that context is varies from person to person depending on all sorts of anthropological conditions. I was trained to hear beauty in a concert hall; I would like to think that I would have been one of those people who stopped to listen to Joshua Bell, but I can’t be sure. I have friends whose most spiritual moments have come at rock concerts. Music is an easy example when we’re discussing the practice of generating spiritual nourishment for ourselves and others because we most likely have all had experiences being uplifted by a wide range of musical contexts. Similarly, in our experience summoning the Spirit in our Church worship, we respond to different spiritual triggers. Whereas we might once have been small enough and culturally homogenous enough that we could rely on a certain code of cultural practices to ensure communal unity, today that is a not a given. What are we each doing to make sure that we’re sensitive to the contextual needs of those around us? What are we doing to make sure we’re fostering an environment where each person can feel the Spirit and feel the Savior’s love in a way that cuts through the clutter of cultural practices and offers up the heart of the gospel’s beauty? Isn’t this exactly what the Savior admonished the people of his time to do time and time again? To strip away the practices that made good Pharasies and good priests and instead focus on the transmission of love one to another? This is partly what makes the parable of the Good Samaritan so powerful: the culture of the time had trained his listeners not to expect any beauty from a Samaritan. And yet in this parable, the beauty of the gospel is packaged in the very context which was most despised. For some, this is going to mean they feel the spirit through different kinds of music and forms of worship. For Baptists, reverence exists at a very different decibel than it does for us, and just because you’re Mormon doesn’t mean you suddenly don’t miss that exuberance when the organ music softly pipes into the temple chapel. For others, it’s going to mean that they feel loved when they are invited to participate in decision-making, while others are going to appreciate not being burdened with responsibility. It means some will feel the beauty of the gospel in a stimulating intellectual debate; while for others the spirit will be most profound in the simplicity of a child’s testimony. Some will feel unity increase when sharing stories of life’s challenges and honest pain; others will want to come to church to avoid confronting life’s grittiness and feel the spirit diminish when church isn’t the haven from life’s realities they want it to be. Sometimes our divides will cut even closer to the heart, positioning us on opposite sides of an aisle outside a church building, but in neighboring pews here. We have all of these kinds of people in the church today, in this room today. In the Book of Mormon, we read about a group of people who follow the priest Alma into the wilderness to escape wicked King Noah. The group gathers at the Waters of Mormon to hear Alma preach the truth he himself has just learned, and follow Alma’s example of being baptized. Alma teaches them “repentance, and redemption and faith on the Lord,” and they rejoice in learning the truth. We learn that this people is “desirous to come into the fold of God, and to be called his people, and are willing to bear one another’s burdens, that they may be light; yea, and are willing to mourn with those that mourn; yea, and comfort those that stand in need of comfort.” Their commitment to and understanding of each other was so sincere that it was the “desire of their hearts” to support each other through life’s darkest moments. That, for me, is Zion. It’s the connection that comes from knowing there’s a place for us in others’ hearts. It’s not all nodding heads in agreement with every statement uttered at church on Sunday. It’s not all having treats, a song and a lesson every Monday night in the Mormon tradition of a weekly family home evening. It’s not about having everyone live in one place or dressing the same. The scriptures tell us the Waters of Mormon were “beautiful” to “the eyes of them who there came to the knowledge of their Redeemer.”  The Waters of Mormon in my life have been every place, including that youth conference at the YMCA camp, where I came to the knowledge of my Redeemer. And my Zion is those literal and virtual places where covenants to support, love, comfort and bear another’s burden are being honored unrestrainedly and joyously. I encourage each of us to consider if we are going far enough in ensuring every member both desires to bear other’s burdens and feels his or her own burdens are being borne by others. Zion requires both. Connection is reciprocal: the embrace is only wide if we ourselves add our outstretched arms to the circle, and it is only strong if we feel we can fall into the arms of others. We as a people are in the process of learning how to connect virtually today, apart from the physical proximity that defined most Zion communities of the past. We’re breaking new ground, testing our cell towers’ and fiber cables’ ability to gather us in spirit rather than in body. We have work to do, but I’m confident our drive to embrace and be embraced will lead us one day to a place that is beautiful to our eyes. See Mosiah 18, Book of Mormon. That was so beautiful. Thank you for that.